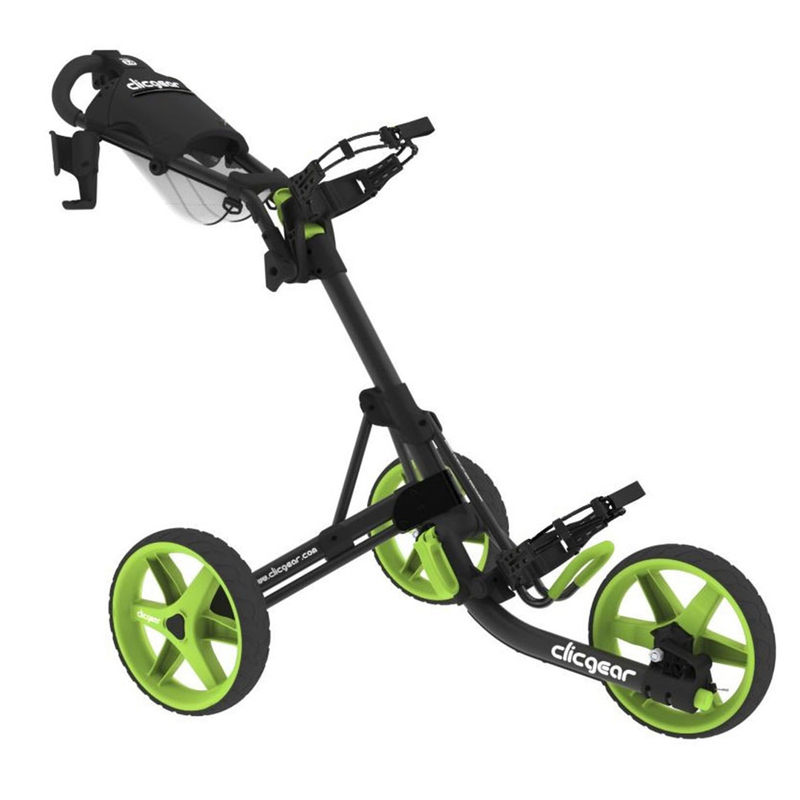 Available in a wide variety of fantastic colours, the Clicgear 3.5+ Trolley will make you stand out on the golf course for all the right reasons. 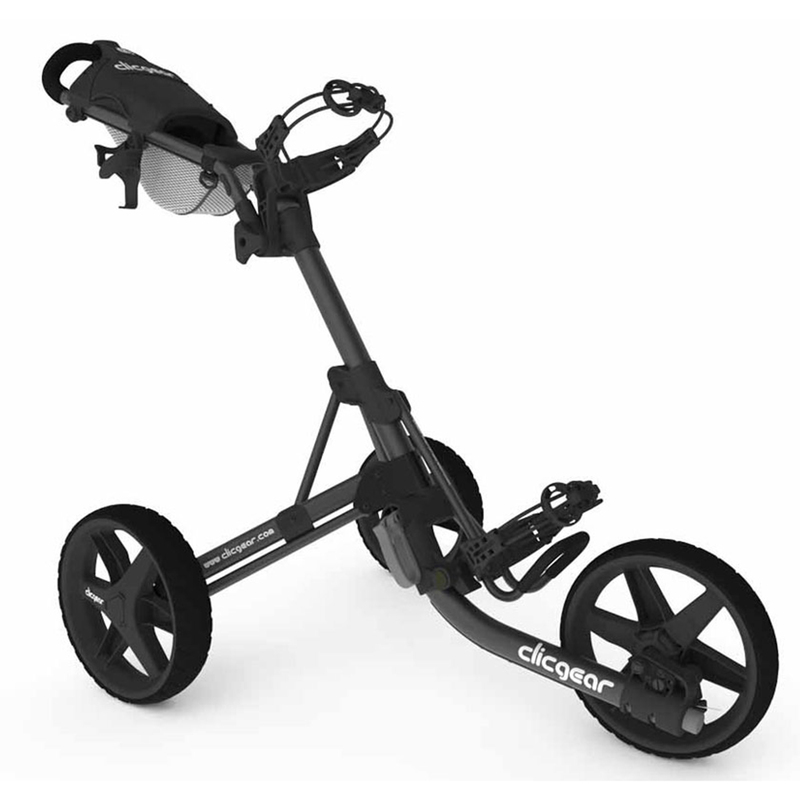 Featuring fantastic new upgrades from the previous model, this trolley is the ultimate in golf bag transportation on the golf course. 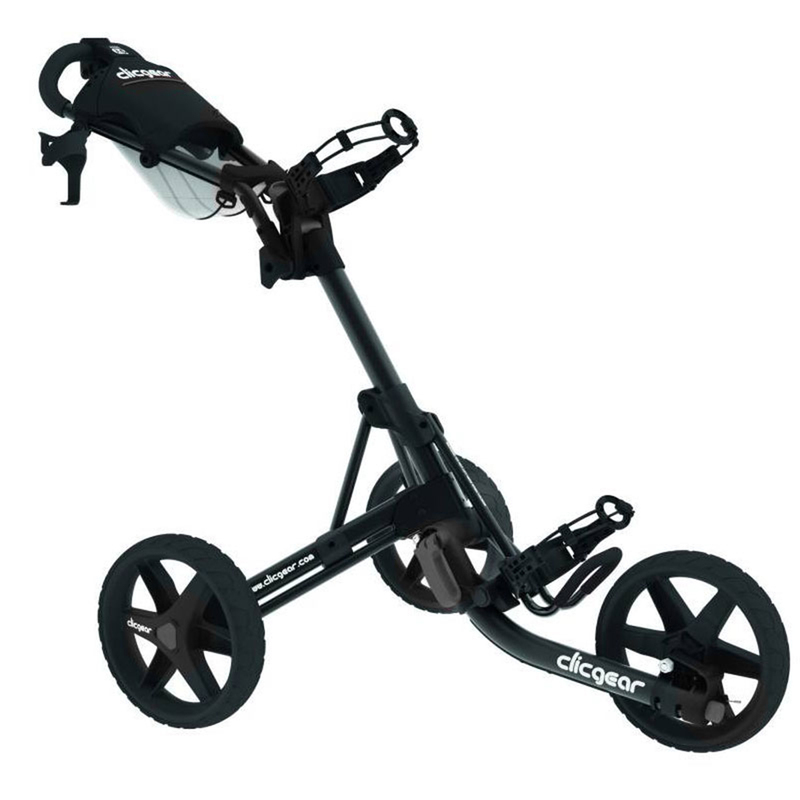 Fantastic new upgraded features included on this superb golf trolley include a larger storage net to carry even more accessories, larger adjustable cup holder for the biggest of drinks bottles, updated positive lock brake system and an improved bag strap system to keep your golf bag secure. The features don’t stop there, with a full sized console for even more storage, fold away design, push button front wheel lock, dura-comfort handle grip for comfortable manoeuvrability and a powder coated finish to resist scuffing and scratching.